On Friday, March 22, the Expanded Panama Canal commemorated its 1,000th day in operation, marking an important milestone for the waterway that continues to redefine world trade routes and exceed expectations. “During these 1,000 days, the Panama Canal’s workforce has not only met the challenge of successfully managing the Neopanamax Locks, but also exceeded the projections we had for this period of operations, thanks to their efficiency and productivity,” said the Panama Canal Administrator Jorge L. Quijano. 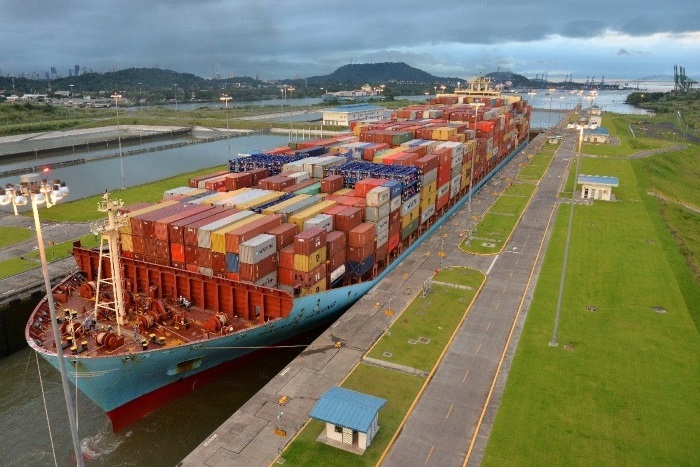 Since the inauguration of the Expanded Canal in June 2016, the waterway has experienced an increase in cargo tonnage, as a result of new segments and liner services that have been redirected through Panama to capitalize on the time and cost savings offered by the interoceanic route. More than 5,700 Neopanamax vessels have since transited through the waterway, with container ships accounting for about 51 percent of traffic, followed by liquefied petroleum gas (LPG) and liquefied natural gas (LNG) ships with almost 26.2 and 11.3 percent respectively. The waterway has also welcomed bulk carriers, tankers, vehicle carriers and cruise ships through the Neopanamax Locks. Increased experience with the Neopanamax Locks, along with continued optimization of and investment in its operations, have allowed the waterway to provide additional capacity, flexibility and efficiency across segments. Such changes have included modifications to the Transit Reservation System and transit restrictions, as well as the addition of two reservation spaces for the Neopanamax Locks, bringing the total number of booking spaces from six (at the time of opening) to eight. As a result, the Canal has marked a series of recent milestones, including record annual tonnage and the first transit of four LNG vessels in one day last October. Just last month, the Panama Canal also celebrated Moody’s Investors Service upgrade of the Panama Canal’s long-term rating, based on the Canal’s strong performance since the expansion’s inauguration. This was followed days later by the waterway’s admission to the Global Industry Alliance (GIA), a public-private partnership initiative of the International Maritime Organization (IMO), in recognition of the Expanded Canal’s contributions to emissions reductions, among other areas. These recent achievements reflect the Canal workforce’s dedication to bringing value and innovation to the global maritime industry. They also mark just the beginning of an ambitious plan to strengthen Panama’s position as the logistics hub of the Americas. To do so, the waterway will continue to invest in its infrastructure, offerings and people to ensure the Panama Canal remains a competitive and reliable route for the next 1,000 days and on.